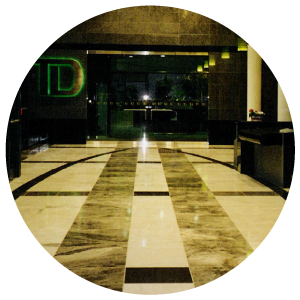 Tile Edmonton | Ideal Tile & Terrazzo Ltd. When it comes to renovating your home, there are many different rooms and features that you can focus on to create a unique and intriguing space. One element that will make any room pop with new vigour is tile. Edmonton home and business owners can benefit from adding tile to their bathrooms, kitchens and entryways because of the various patterns and designs available. Different types of tile are better for different applications, but with the help of the experts at Ideal Tile & Terrazzo Ltd., you’ll be able to find the find the perfect type of tile for the floor in your entryway or the fireplace in your dining room. Granite – All of the benefits of granite slabs are translated to the tile version of this elegant stone. Available in a wide range of colours, granite tile is perfect in kitchens and bathrooms as well as on fireplaces. Marble – A natural, metamorphic stone, marble generally has a high polished surface. Our marble tile comes in a wide range of colour variations. Slate – Composed of layers of rock, slate tile shows great colour variations. It is a porous material that should be sealed before installation in your home or office. Slate tile is non-slip and resistant to heat. 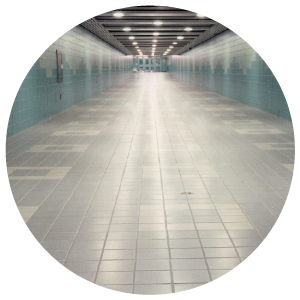 Ceramic – Not as durable as other products, ceramic tile is perfect for low use areas like backsplashes and walls. It’s available in a wide range of colours and decorative options. Porcelain – Offering quality and durability, porcelain tile is the hardest surface you can use on a floor or counter. It requires little upkeep and comes in glazed, unglazed and textured options. Natural stone – Available in many different styles, patterns, colours and shapes, natural stone tile is great for walls and floors. 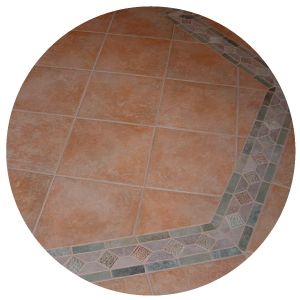 We have experience installing tile creations from countertops in kitchens to flooring in entryways. Our creative team has the skill to design and install intricate patterns using one or more colours and types of tiles. If you want a better idea of the different types of tile we have available in Edmonton, visit our showroom! With regular weekday hours and weekend appointments available, you can meet with our team to find the perfect pattern, colour and design of tile for your home or business. When you consult with our certified technicians, we’ll work with you to create something unique, eye-catching and beautiful.